Today, Happy Science is already Japan’s biggest and the most influential religion, and it is rapidly growing on a worldwide scale. Let us have a look at our history – the key events that have led to the Happy Science we are today. Happy Science was founded on October 6th, 1986, and was certified as a religious organization in Japan on March 7th, 1991. 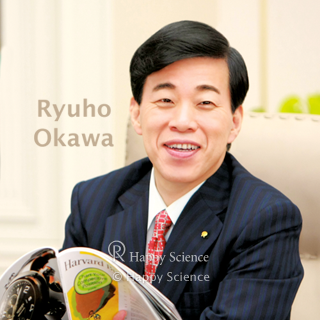 The Founder of Happy Science is Ryuho Okawa. Happy Science believers have a strong faith in the God of the Earth, El Cantare. In order to attain true happiness, also known as enlightenment, the members practice the teachings of Ryuho Okawa on a daily basis by praying, studying the teachings, self-reflecting and meditating. Above all, reciting The Dharma of the Right Mind every morning and evening, is the main pillar of this religious life. Together with friends and the Dharma friends who share the same faith, we carry out various activities to create an ideal world and to spread happiness. Many of these activities are held at the local branches and temples, and revolve around taking regular visits there. In order to support these activities, there are more than 10,000 local branches and temples and the Shojas all over Japan and the world. By studying and practicing the Buddha’s Truth at the local temples with Dharma friends, as well as at home during one’s own study time, the teachings at Happy Science will enable you to attain real happiness toward enlightenment. Furthermore, Happy Science is involved in all kinds of activities including social activities for the purpose of creating an ideal world. Happy Science members conduct activities based on daily self-reflection, meditation and prayer for the purpose of giving love, attaining enlightenment and creating utopia. Members become happy by attaining enlightenment through studying Buddha’s Truth, participating in missionary work, offering happiness planting (donation), visiting local temples and the main temples, taking ritual prayers, attending seminars and so on. Members spread their happiness to as many people as possible through such activities. In principle, members recite the fundamental sutra “Words of Truth – The Dharma of the Right Mind” every morning and every evening. By doing so, knowledge of the Buddha’s Truth is deepened, leading toward living a brighter life with a mindset aligned with the heavenly world. You can harmonize your mind by looking deeply into yourself through self-reflection or meditation after the recitation. All members will receive The Dharma of the Right Mind, which is one of the fundamental sutra books of Happy Science. This sutra will become the main pillar of one’s religious life. Numerous workshops and seminars based on the books and lectures by Master Okawa are offered to support the learning and practicing of the Truth. 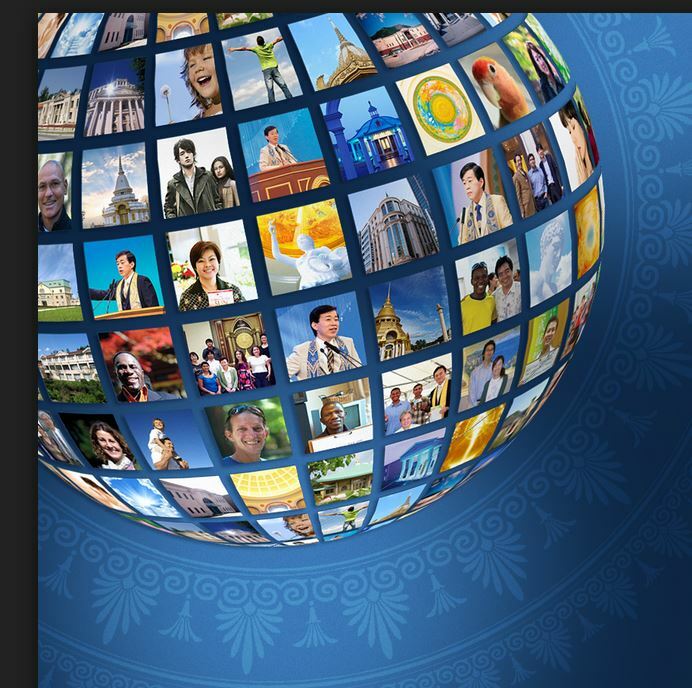 Lectures on video can be watched at all Shojas, local branches and temples, and missionary centers. Watching the recorded version of the Master speaking actually has as much spiritual impact as the live lectures do. It is also a convenient way to study the Truth, as the viewings can be accommodated to everyone’s busy schedule. For further learning and deepening your understanding, we recommend you take the Buddha’s Truth Exam and the Discipleship Course. 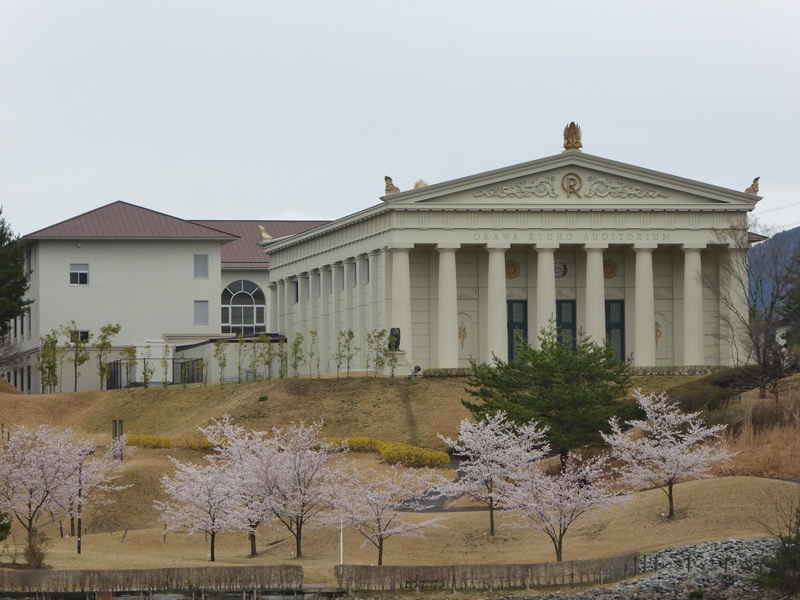 The Buddha’s Truth Exam is held annually in summer so that the members can check how much they have learned each year. The Discipleship Course is held throughout the year. Study the Truth, Self-Reflection, Meditation and Prayer: the basic religious practices at home and in temples is indispensable in discovering one’s divine nature and in attaining spiritual perspective on life. By providing spiritual teachings, we aim to promote righteousness and love to the world. By taking concrete actions such as through charity and social work, we also strive to change the society by leading it toward a positive direction. We have community meetings at the local branches and temples, and missionary centers where groups of people are able to have discussions about the truth, provide study hours, and taking place in missionary activities together. At the local branches and temples, people from different age groups get together and become “Dharma Friends” by sharing the same faith and participating in activities together. There are groups of working women and mothers, business persons, mothers and children, seniors, youth, students and more. Happiness Planting is a precious aspect of Happy Science as part of our spiritual growth. It is the act of offering a financial donation that supports our activities and contributes to the happiness of others. It is not the amount that matters, but it is our attitude, purity of the heart, and the feeling of gratitude that we express when making the offering. It does not necessarily have to be in a form of money, you can also offer your time, your talents, your experience, or places where activities can be held. You can plant seeds of happiness for the next generation, and practice “love that gives without expecting anything in return.” By regularly practicing happiness planting, not only do you contribute to creating more prosperity in this world, but store spiritual wealth and virtue for when you return back to Heaven. 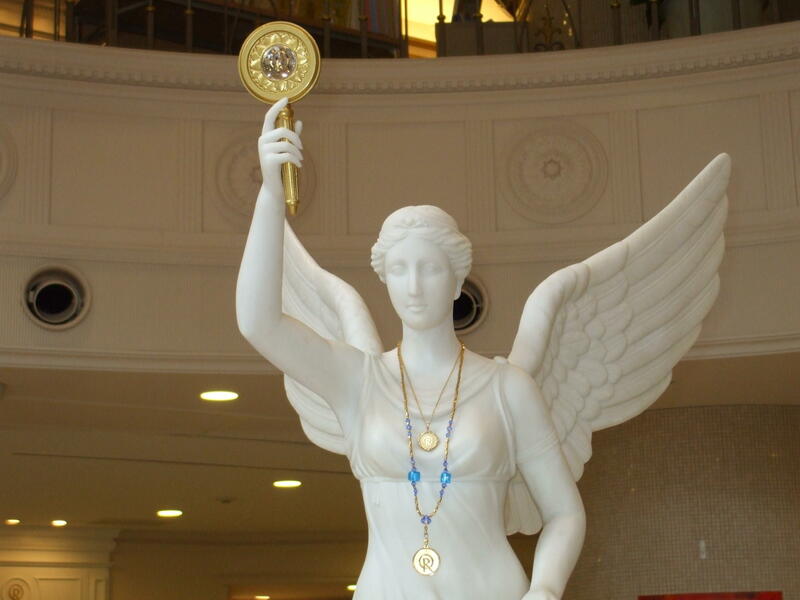 Let us all aim to become angels of wealth, and place steady efforts in making our ideals into reality. Happy Science Shojas, local branches and temples, and missionary centers are the “town square of the soul” in your community, like a lighthouse shining heaven’s light to the surrounding area. Not only the members but the non-members are also welcome at any time to visit to read the books, watch the video lectures, practice meditation, attend prayer services, or just to have an uplifting chat with Dharma friends. It is your spiritual home where you can come to seek advice to any life problem, and to re-energize yourself with heavenly light. Everyone is welcome. Ritual Prayers (Kigans) are sacred ceremonial prayers performed at local branches and temples, and the Shojas. They are special opportunities to directly relay pledges to the Heaven to do your best, and ask for their light and guidance in achieving your goals and aspirations. There are various types of Ritual Prayers available, whether it would be about succeeding in life, happiness at home, or recovering from an illness. If you are selfless and you are praying to be able to contribute to the world through your happiness and success, your prayers will surely reach the heavenly Realm, and a guiding light will shine down on you. Conducted Ritual Prayers: “Prayer for Peace at Home,” “Prayer to Seal Evil Spirits,” “Prayer for Success in Business,” “Prayer for Multiplying Happiness and Virtue,” “Prayer to Develop Our Destiny,” “Prayer to Enhance Academic Ability,” “Initiation to Purify Your Past,” etc. Local seminars are also held at Happy Science local branches, local temples, missionary centers, or public venues. 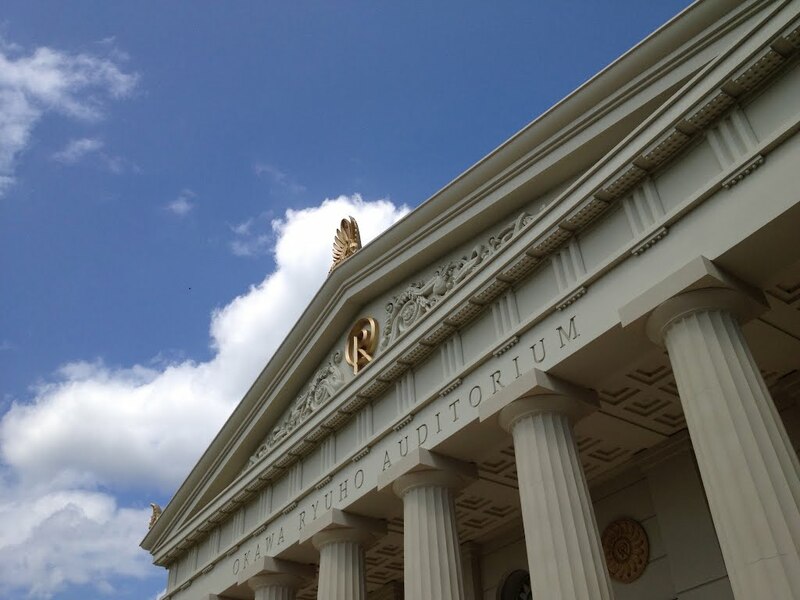 Seminars are a great opportunity to see your mind in the light of Truth and gain wisdom that will help you find true happiness, and to meet similar “Truth seekers” in your local area. There are many varied selections of the koan seminars you can take at your local branch, local temple or the Shoja. Koan is a short phrase of enlightenment given by Master Ryuho Okawa that will assist you in solving your problems and in obtaining wisdom to succeed in life through self-reflection and meditation. Conducted Seminars: “Seminar on the Eightfold Path,” “Meditation for Harmony with Human Relationships,” “Meditation to Attract Infinite Wealth,” “Seminar on Becoming Free from Fear,” “Seminar on the Basics of Loving Yourself,” etc. On March 7th, 1991, Happy Science was certified as a religious organization. 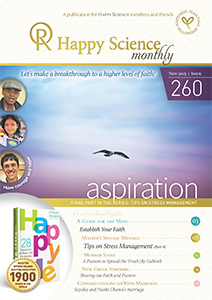 At Happy Science, there are religious celebrations held throughout the year. On each celebration day, we offer gratitude and a pledge. Each ceremony services are conducted at local branches and temples around the world, and it is available for everyone to attend. You can attend these services to offer your gratitude and deepen your faith to the Lord El Cantare. Master Ryuho Okawa achieved Great Enlightenment on March 23rd, 1981. To celebrate this miraculous day, a ceremony is held at your local branch or local temple on this day of each year. It is for everybody to attend, to offer gratitude to the Lord El Cantare. Master Ryuho Okawa was born in Tokushima, Japan on July 7th, 1956 at 7:07 am. He is the core part of El Cantare’s soul, and is now preaching to people all over the world. El Cantare means “the beautiful land of light, Earth,” and he is bringing light to the world through his universal teachings. The age of salvation has finally come and people celebrate this phenomenal moment. Happy Science was established and it opened its first office in Nishi-ogi-minami, Suginami Ward, Tokyo, on October 6th, 1986. On November 18th, 2007, Master Ryuho Okawa gave his first official lecture overseas entitled, “Be Positive,” in Hawaii. This was the start of Master Okawa’s world missionary tour, where he gave lectures in English in all of the five continents. On November 23rd, 1986, Master Ryuho Okawa gave his first lecture at Nippori Shuhankaikan in Tokyo, Japan. Since then, Master Okawa has given many numbers of lectures on a variety of topics such as politics, economics, health, religion, and social issues. El Cantare Celebration is one of the largest events at Happy Science, held in December since 1991. At the celebration, people offer sincere gratitude to the Lord El Cantare, and reflect on the year while making a new pledge for the coming year. You can participate in this celebration by going to your local branch or local temple in December. 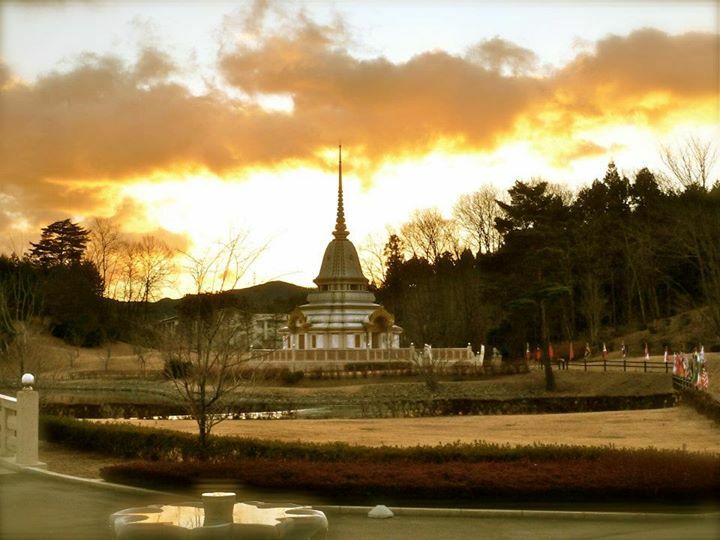 International retreats are the special seminars held several times a year at the Happy Science Shoja (main temple) in Japan. These seminars are great opportunities to meet people from all over the world who walk on the same spiritual path, as well as to reflect on our mind in the light of the Truth, to re-energize ourselves in a heavenly environment, and to gain wisdom that help us discover true happiness. Retreats in other languages are also held separately upon request from individual temples throughout the world.